The Heritage Barn is light and airy with a relaxed bistro style. 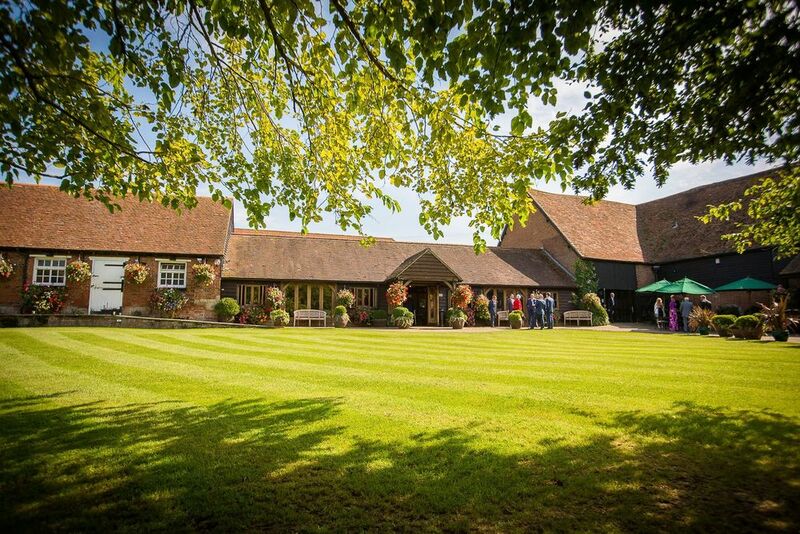 It is an inviting meet and greet barn, the perfect place for everyone to gather whilst waiting for the ceremony to begin. It is ideal for guests that have travelled from afar and are needing some refreshments to kick start the day. The Barn opens out onto the patio where it is lovely to sit with a glass of something cold and enjoy the ambience. In the chillier months the barn is transformed into a warm and cosy space with candles, a log burning stove and plenty of space to sit and catch up with friends and family. This barn is revisited after the wedding ceremony for pre dinner drinks and then again after the wedding breakfast when everyone is ready to move around, stretch their legs, have coffee and mingle with other guests. The Heritage barn is again transformed the following day for our overnight guests to enjoy a hearty pick you up breakfast.